I wanted to write a short article about a Photography Studio called SkEye Studios. They are a photography studio out in Hillsboro, Oregon that also has an aerial photography component to it. 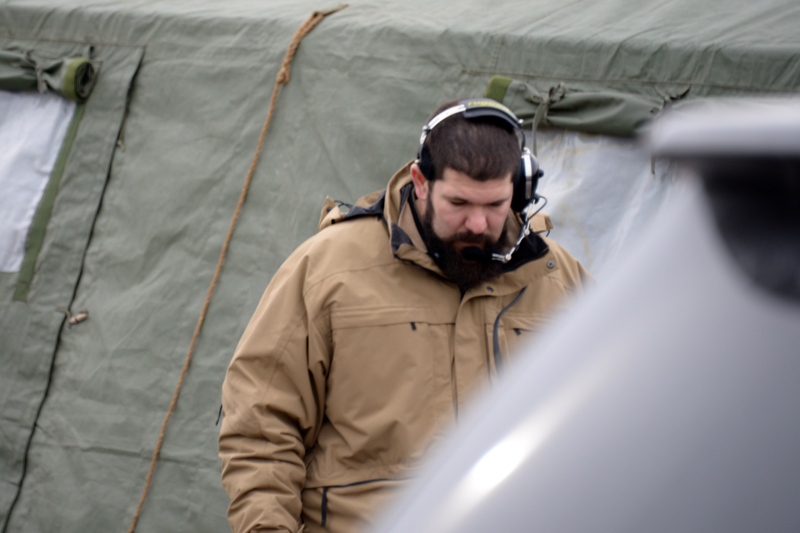 I spoke with Chris Kiefer, a production manager at SkEye about a video that was sent to me from the West Coast Walk to Life. As a reminder, this is not a political or advocacy blog, but I was intrigued by this video because a company was using a UAS to record a large congregation of people in a metropolitan area. Chris told me that they took this video purely for their own personal interests in photography. They were curious about the size and extent of the event and wanted to see how it would come out. They did not do this for commercial purposes, so they are not bumping up against the FAA’s ban on using the Model Aircraft guidance. While I’m sure the FAA could make some commercial argument, SkEye has done everything right, in my opinion. SkEye was in contact with both the San Francisco Police Department and the California Highway Patrol to get their buy-in on what they were doing. Interestingly, neither agency really know what to do, but were excited to help and agreed to the plan that SkEye developed. SkEye used a Phantom to make the recording and this is what came out of it. This will be a powerful use of UAS once the FAA does approve small aircraft for commercial use. Groups of all types will want to document their events and share the extent of participation – both to encourage more to join and to encourage companies to advertise at the event. SkEye has a lot of work online, and it pains me to show this this one, since I’m a Patriots fan and excited for the Super Bowl tomorrow. SkEye also took this video of a Green Bay Packers stadium recreation with Christmas lights and portions are filmed with a UAS. It is pretty cool, even if the choice of teams is questionable. On that note, don’t forget that aircraft of all types are prohibited around major sporting events year round, but the FAA has issued a special advisory for the Super Bowl and is trying to get out the word that it is a “No Drone Zone.” No UAS near the Super Bowl – no excuses. Enjoy the game! 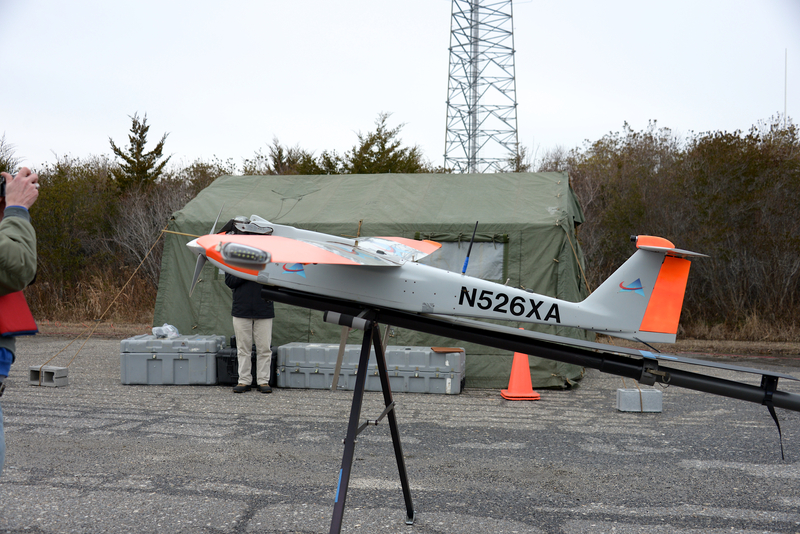 Yesterday I had the honor of attending a test flight at the U.S. Coast Guard Training Center, Cape May, New Jersey. 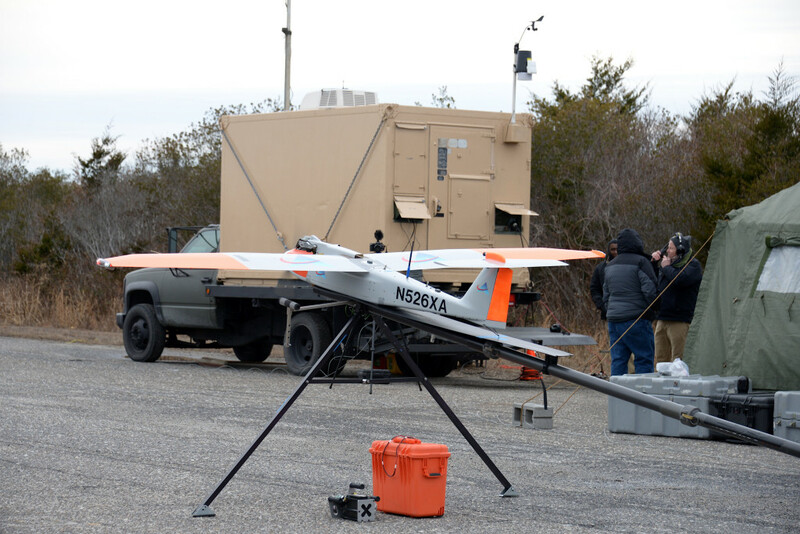 The flight is part of a program run by Dr. Michael Chumer at the New Jersey Institute of Technology that is researching how to use data-collection sensors on UAS for homeland security and emergency management functions. 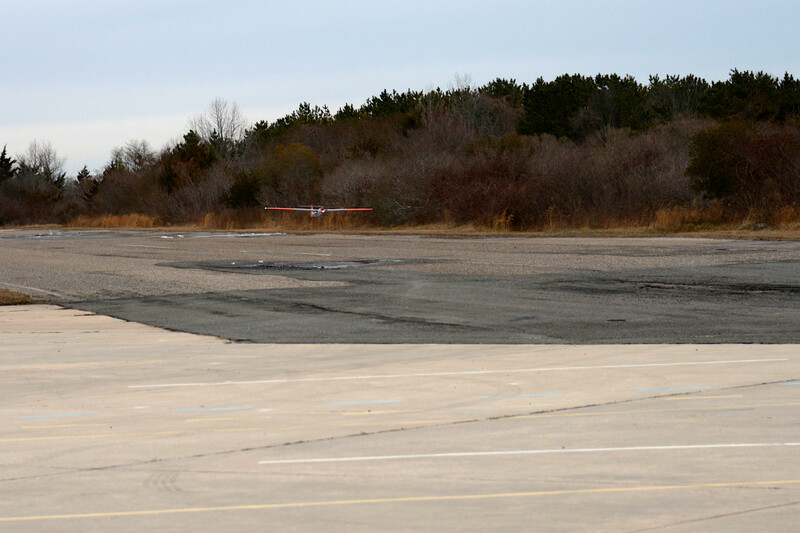 While NJIT is part of the Virginia Tech Test site’s Mid-Atlantic Aviation Partnership (MAAP), a group of over 50 institutions, they independently sought and obtained a Certificate of Waiver or Authorization (COA) from the FAA for this current program. It took over a year for NJIT to obtain the COA, and it was clear from the moment I arrived that the COA had placed significant requirements on NJIT. 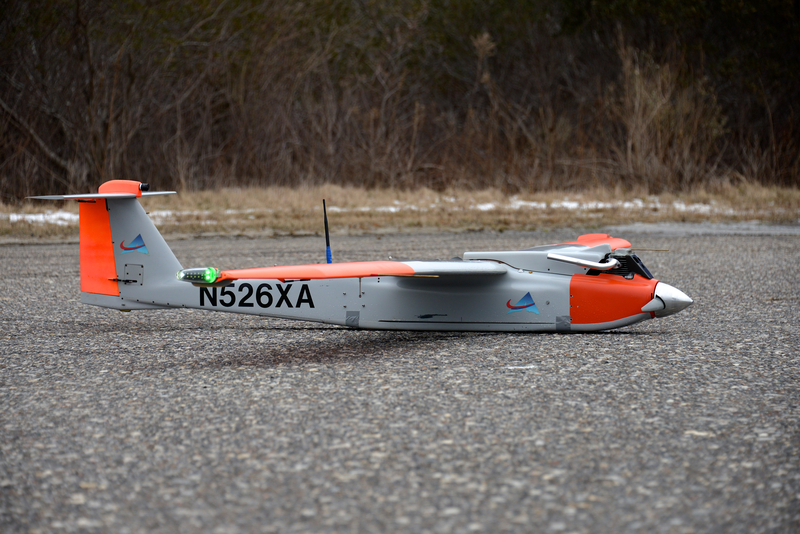 One of my first posts was to explain why I use the term UAS, as opposed to drone or UAV. 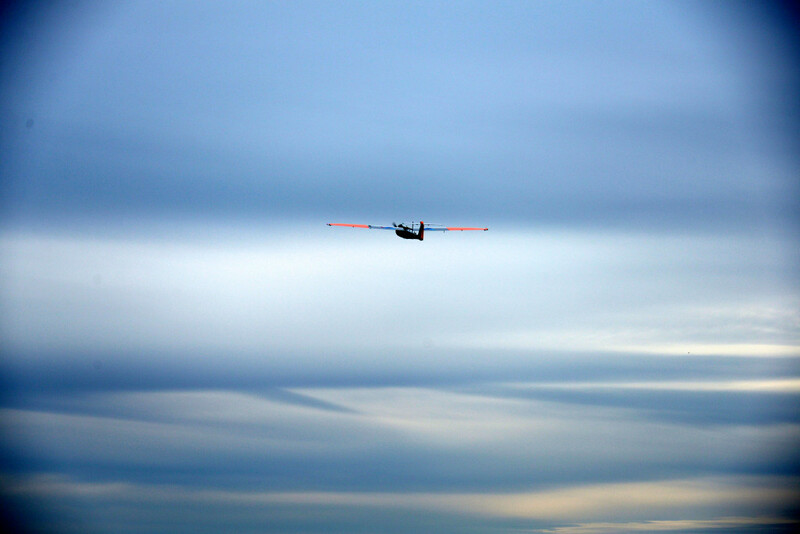 It was clear today that UAS is the proper term, because the aerial vehicle is just a small part of the overall system – the team estimated that the aircraft is only 20% of the overall system! Dr. Chumer introduced me to the Emergency Operations Center (EOC), housed in an RV and provided by Cape May County. There was also a flight center in a mobile military-style vehicle and this is where the pilot and other flight crew were based. EMT personnel were present and a number of members from an FAA research group who are helping to develop the R&D necessary to promulgate UAS regulations were present. I arrived 45 minutes before takeoff, and they were already well into busy flight preparations – this is not your fly out of the box DJI Phantom. COA’s are only issued to public entities under the FAA Modernization and Reform Act of 2012, which provided some logistical hurdles. NJIT does not own the RS-16, the unmanned aircraft that flew yesterday. It was leased from its developer, American Aerospace, which as a private entity cannot obtain a COA. NJIT then also hired American Aerospace to provide the trained pilots necessary for the flight. The RS-16 is an gas-powered 85 lb aircraft with a 12 foot wingspan, 15,000 ft ceiling and 25 lb payload. It’s maximum speed is 65 knots, with a cruising speed of 55 knots and stall speed of 31 knots. The RS-16 is developed with civilian technology, which helps it avoid the ITAR issues surrounding military UAS (I do not know enough information to determine the ECCN, but this is sufficient to allow me to comfortably post images from the test flight). UPDATE: I’ve been able to confirm that at least one internal component is Cat VIII on the ITAR. As for the rest of the system, I do not have enough information to make a determination. Yesterday’s flight was limited to a ceiling of 3,000 ft and a range of 1 NM from the takeoff location. Except for the fact that there was no passenger compartment, one would have thought this was a manned flight. There were fully qualified pilots – one who was the Pilot-in-Command and two to act as ground observers. The pilot was in constant communication with Air Traffic Control, had filed NOTAM’s with the FAA to advise other aviators about the flight, and received clearance from ATC prior to take-off. The ground observers are necessary to comply with FAA “sense-and-avoid” requirement, which is the requirement that an aircraft have first-hand situational awareness of its environment and be able to avoid other aircraft. 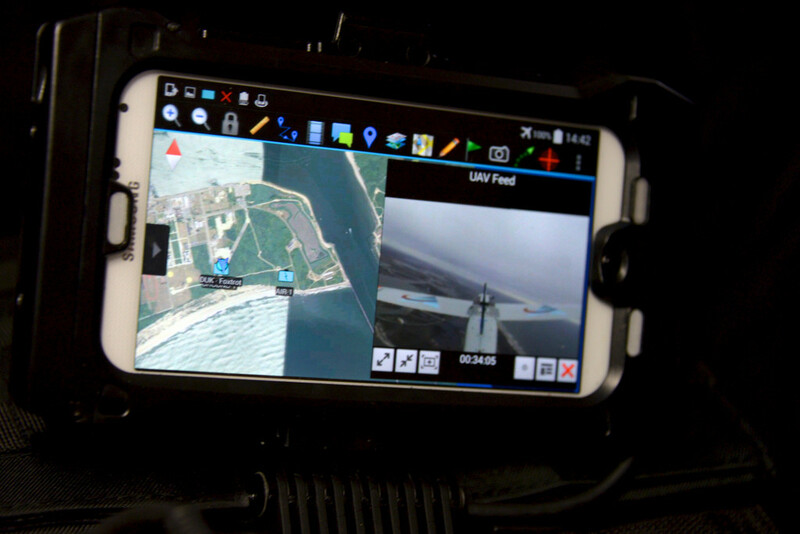 This is accomplished with UAS by either having ground observers who are trained pilots, that can have eyes on the aircraft even when the PIC is looking at his controls, or by having a “chase aircraft,” a manned aircraft with eyes on the UAS. For this flight, ground observers were sufficient, but the COA will eventually allow NJIT to fly up to 10,000 ft and out to 14.5NM over the Atlantic. At that point a chase aircraft will be necessary. It might seem odd that a UAS with 25 lbs of sensors needs human eyes on its surroundings, but until the FAA is satisfied that sensors can comply with sense-and-avoid requirements, this will be required. 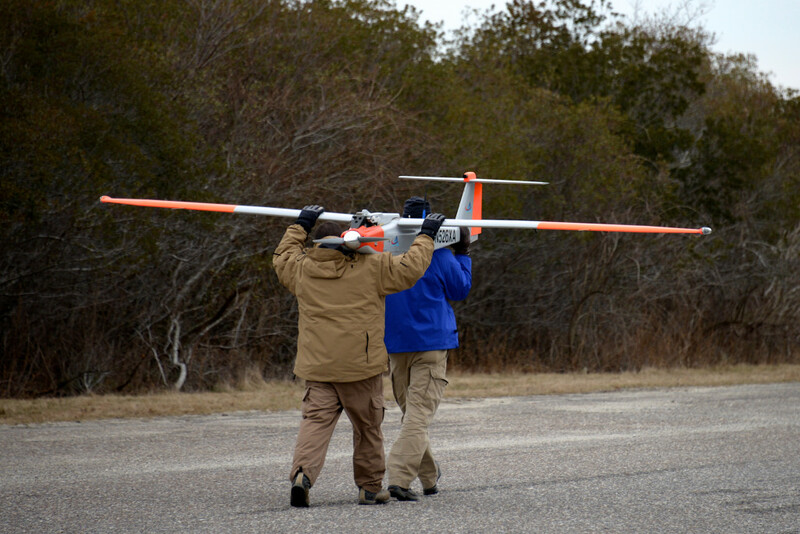 Dr. Edward Mahoney, the Mayor of Cape May and Gerald Thornton, the Freeholder Director of Cape May County discussed the potential they see in UAS. 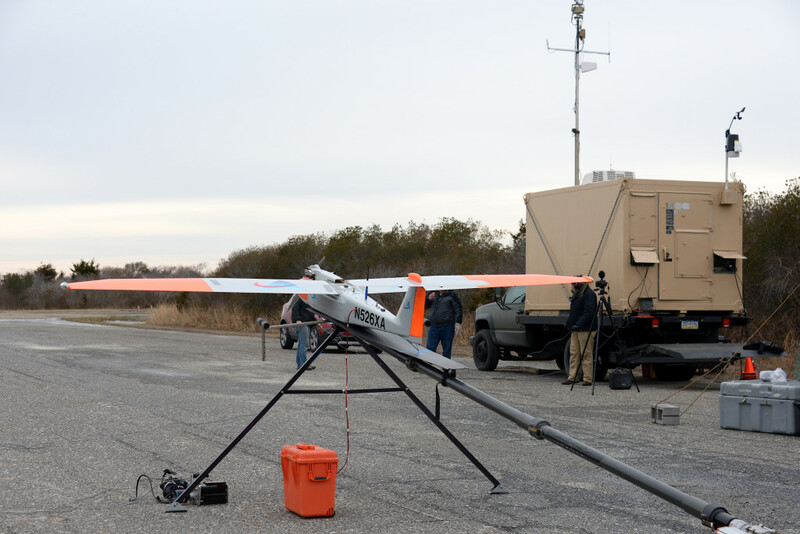 They hope that UAS will help in disaster situations to aid people stranded and then to survey damage, such as if another Hurricane Sandy occurs, or to help ground personnel in more traditional emergencies such as those that fire and EMT personnel respond to. They heard numerous concerns from citizens about privacy issues as well, but assured residents that this is not being for the aforementioned research purposes and not as a police surveillance tool. 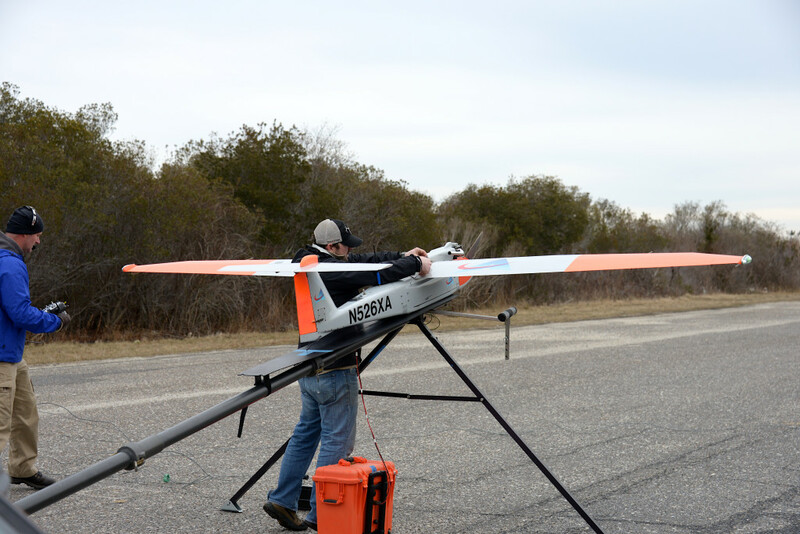 They also hope that by leading the R&D effort they will attract UAS industry to southern New Jersey – a very astute and forward-thinking position and they would eventually like to open up a local airport for UAS operations. A number of people, including the FAA research group, had questions about the liabilities one might face for using a UAS. As you know, this is a long and complicated topic, and not the primary purpose of the test fight, but it was good to see that people were thinking about these issues. Now for the flight, the exciting part. The RS-16 does not have wheels, and like many fixed wing UAS it is launched off of a catapult-looking device. The flight crew took a good amount of time testing it in the apparatus before flight, and started the propeller like in the old days (although now there is a device that helps spin it rather than the images of WWII crew doing it by hand). We all had to stand back behind a pre-determined point from the 15 minutes prior to take-off, a very strict requirement as part of the COA. 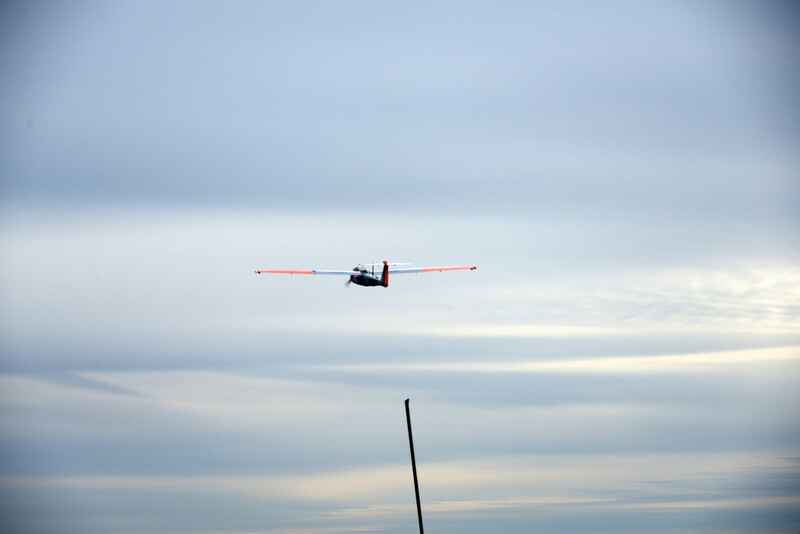 The catapult launched it into the air for a successful take-off and the research began. It stayed within the predetermined area and we went into the EOC both to get warm and see the equipment that was receiving flight data. 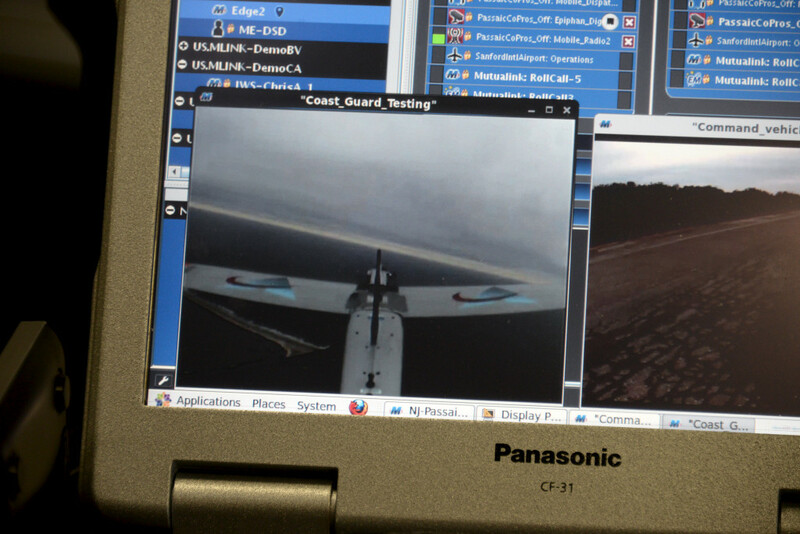 The computer has the capability to link via VPN to numerous emergency agencies and receives real-time data, including high-qualify imagery, from the RS-16. Two people from Avwatch were present with a mobile Dismount User Kit (DUK). It was designed for special forces units and looks like a bullet-proof vest with a mini iPad on it (it’s actually a Samsung). This device receives the same imagery as the computer alongside a map noting the location of the aircraft, the pilot, and the various DUK users. I have photos of this, but since it was designed for military purposes I’m concerned that it might be ITAR regulated and will refer you to their website. The pilot, Michael Cancienne. He was like a star of sorts. He was in the flight center for most of the pre-flight, and when he emerged everyone was vying for a photo. He did a great job piloting! Ready for take-off, with the flight center in the background. After about 30 minutes in the air, the RS-16 came down for a landing. We all had to stand well back from the runway and were told to speak up if we say anything of concern. Remember that it doesn’t have wheels? It still doesn’t for landing. While David Yoel, the Founder and CEO of American Aerospace, had full faith in his pilot, he took a big sigh of relief when it skidded to a safe landing on its second pass – a brief gust of wind caught the wing on the first pass and the pilot wanted to be safe! The whole team was excited about the successful flight and I wish them the best with their program. 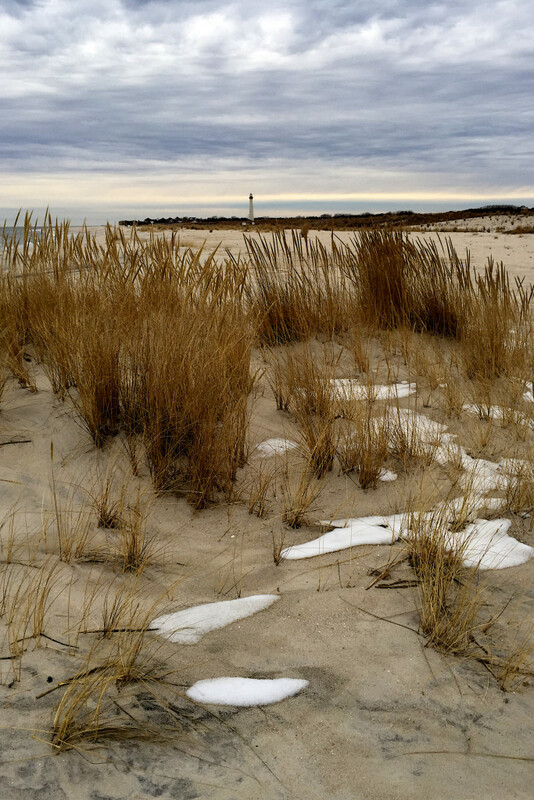 To finish on a scenic note, Cape May Lighthouse, a few short miles from the site. While having an alcohol concentration of 0.04 or greater in a blood or breath specimen. The District of Columbia (if he was operating from a location in DC under their jurisdiction), could prosecute under D.C. Code § 22–1321(a)(1) (Disorderly conduct). Disorderly statutes are written broadly, and there is an argument that operating while intoxicated would qualify if someone was aware and worried about a crash. It doesn’t appear to me that DC’s DUI statute would cover operation of a UAS while intoxicated, but other state laws might. As one example from my experience (on the prosecuting, not defense side): military UAS users can be charged under Article 111 (Drunken or reckless operation of vehicle, aircraft, or vessel). In late-breaking news, a friend sent me this. DJI is sending out a firmware update that will prohibits its products from flying within 15.5 miles of D.C. Based on comments I’m reading, a lot of people with UAS are not even aware they’re violating FAA regulations by flying in DC. I know some other companies have added no-fly zones to their products as well. I’m sure the driving factor for DJI is the PR mess (who hasn’t seen the picture of the broken Phantom on the White House lawn), but it is a good way to educate users who aren’t familiar with VFR maps or airspace restrictions. Here is an interesting video that was shared with me. Some might think it is insensitive to record Auschwitz from a UAS, but my opinion is that it is important to share the history so that we remember what happened, and why it must never be repeated. Someone said that Auschwitz was “built for the negation of faith – faith in God and faith in man…[it was meant to] trample radically not only on love but on all signs of human dignity…built on hatred and contempt for man in the name of a crazed ideology.” Name the speaker? For me, it was is powerful to see from above and recall what man is capable of. Apparently the storm was a dud for some, but we were in one of the harder hit areas. 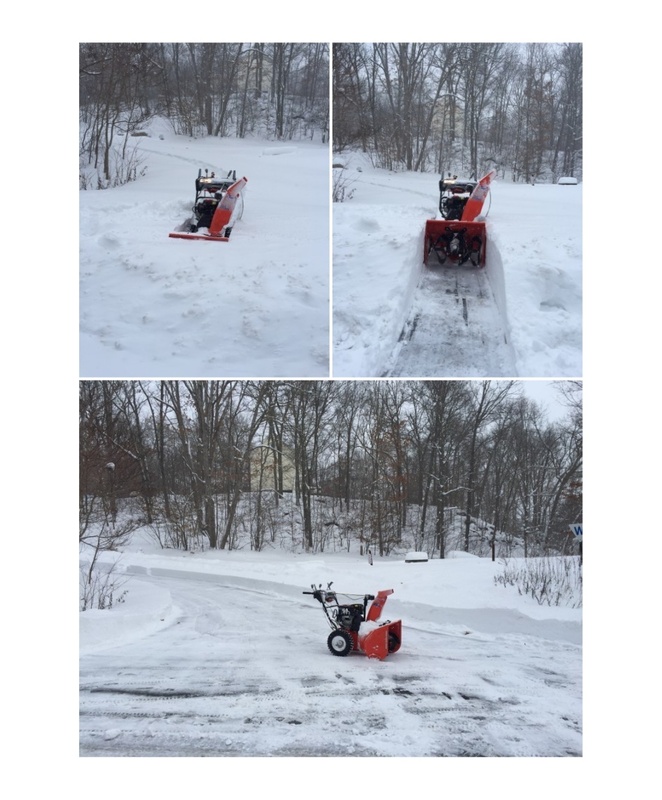 A few local recommendations today.s Thanks to a good snowblower recommendation from the local TruValue in Killingworth, CT, my Ariens broke through the snow like it was a dusting! I miss my post-shoveling Flanders Donuts from Ralph’s in Groton, CT, but fortunately I had some from Beach Donut Shop in Westbrook. Everyone be safe out there. Back to UAS updates tomorrow! 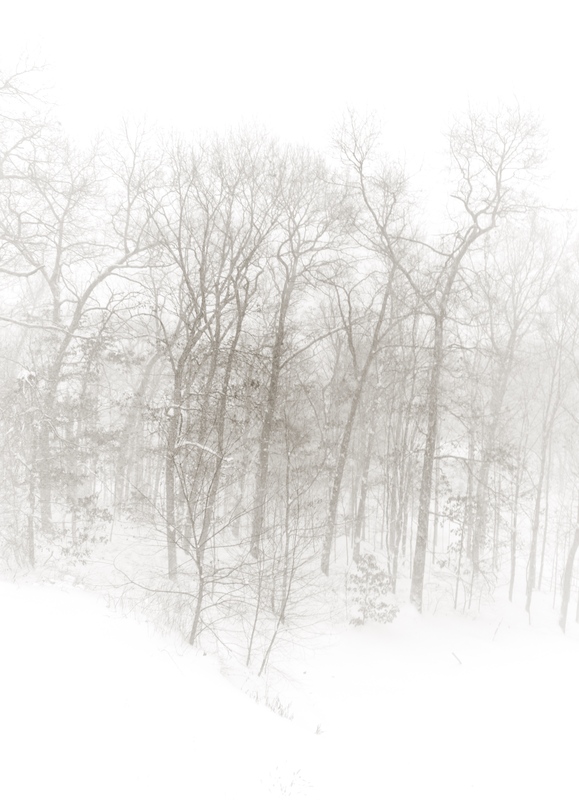 Today will be dedicated to views of the Blizzard of 2015. Today’s big news is the quadcopter that was found on the White House grounds. An individual has reported to Secret Service that he was the user. He says it was an accident, but was probably not aware that all of DC and much of the surrounding area is an ADIZ (Air Defense Identification Zone) and Flight Restricted Zone. If you are curious, or hear others saying we need stricter rules for UAS, here are the regulations. There have been incursions into this airspace by manned aircraft as well, I’d rather train people on current regulations than add duplicative ones. 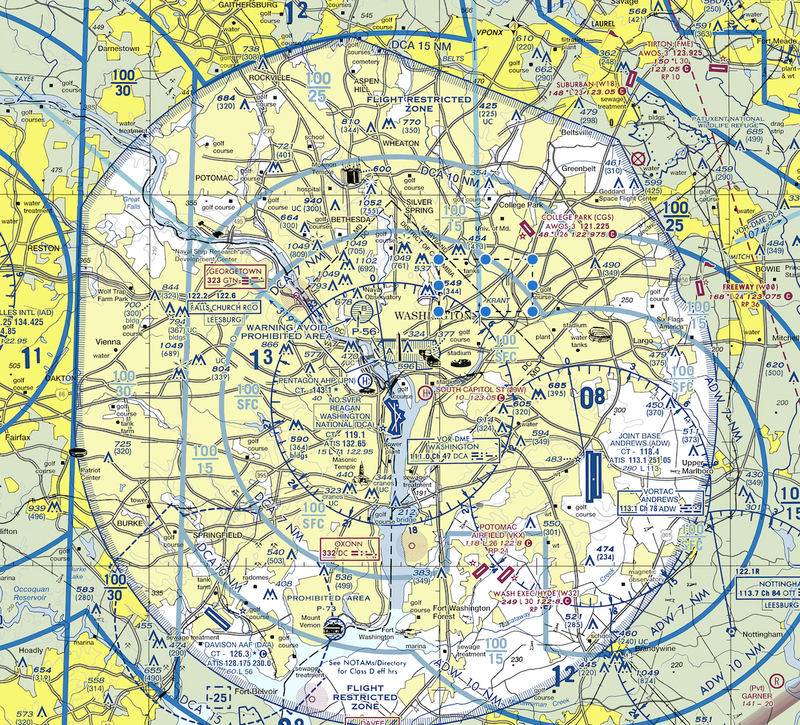 Under NOTAM FDC 0/8326, flight within a 30 mile radius of Reagan National Airport is generally prohibited without specific authorization. I won’t go over the specific requirements, but you can view them at the link to the NOTAM. If you are going to be anywhere near this area, the FAA recommends that you get special awareness training before flight. Repercussion for incursion include: civil penalties, criminal action, detainment for questioning, and deadly force against the aircraft. If you are stopped, you’ll probably lose your UAS to the evidence black hole. If you’ll recall, I wrote about a tourist who was stopped by DC park police. He got off lightly and don’t rely on the same treatment. Leave your UAS home on your next trip to DC! The big news here in Connecticut is not the White House, but a white out! 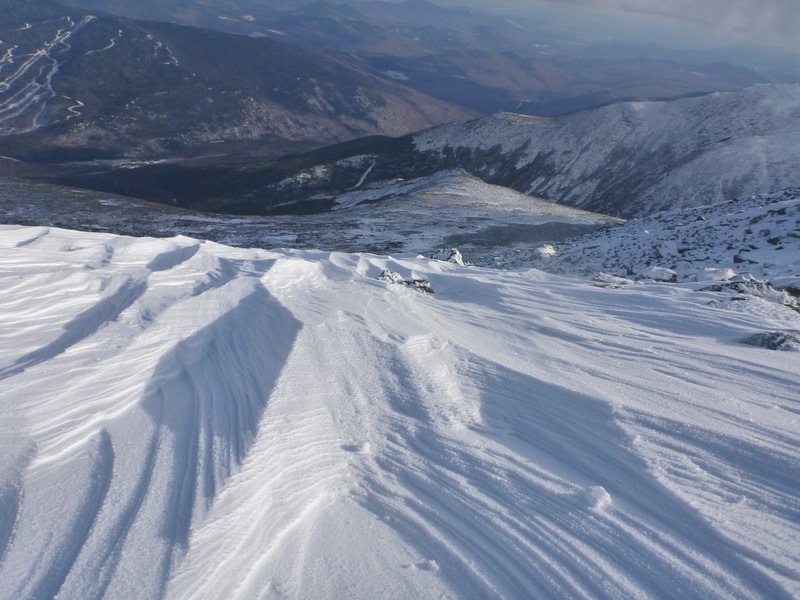 I’m a big fan of snow, especially when I can ski on it. 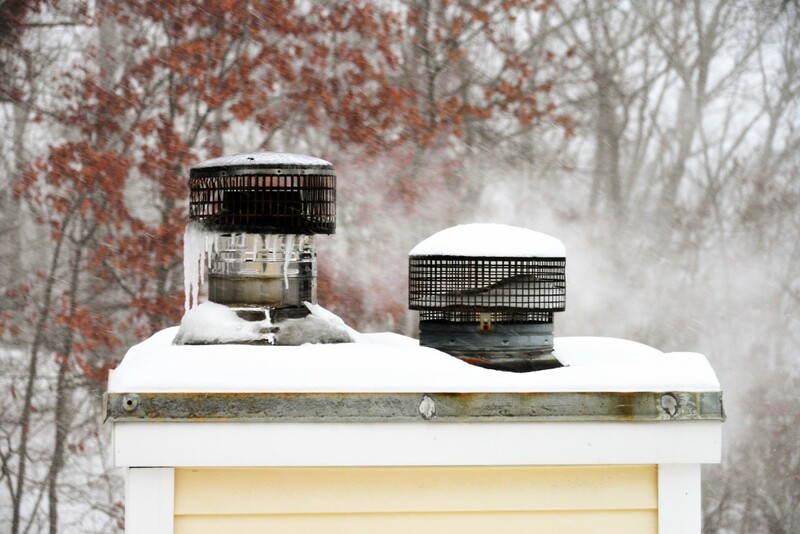 That hasn’t been in the cards this year for many reasons, but here is a beautiful photo from Mount Washington. They don’t need a storm for snow and wind. Today I wanted to write about UAS regulations in other countries, and recent news fit in perfectly with that plan. 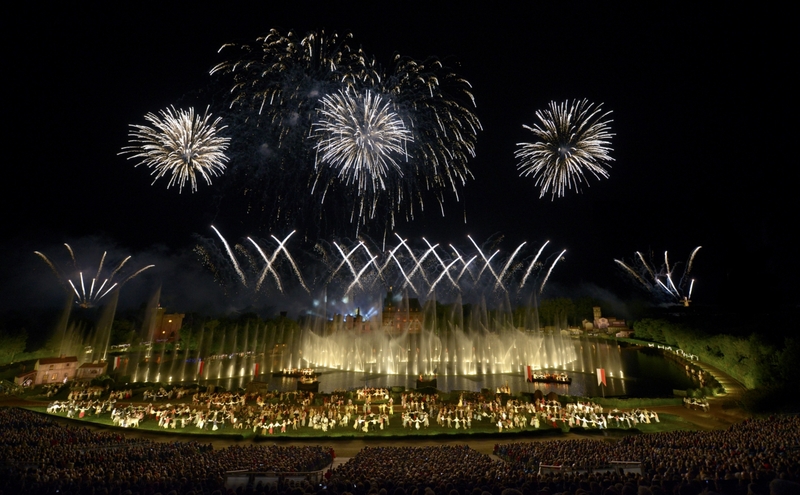 Puy du Fou, the second largest theme park in France, has announced that it will be including UAS in its nighttime Cinéscénie. I hadn’t heard about this place until today, but it already looks quite extravagant. Their webpage about the 3 kg “Neopter” says they are custom created to be waterproof and they can be choreographed together. The Direction Générale de l’Aviation Civile Française (DGAC) has authorized Puy du Fou to fly the Neopters. France is clearly more willing to allow UAS use than the United States, and they have set up a tiered system for the weight of the UAS along with the situation in which it is being used. Even small recreational users must take various safety precautions that are similar to the small UAS regulations proposed by UAS American Fund. As the weight and proximity to people increases, the users must take more action. For those who understand French, the regulations are here. I haven’t been able to find reliable English translations, so rather than go through line-by-line, please email me if you have any questions and I’ll do my best to translate. The theme in all of these countries is that small UAS are generally permitted with some limitations, but commercial use is possible without the difficult 333 Exemption process adhered to by the FAA. I’ve only summarized the requirements, but I hope this gives you a flavor of what other countries are doing – and why R&D is heading there. Canada: They have a great site that is very user-friendly. There are two general exemptions, one for UAS less than 2 kg and one for those 2-25kg. Generally, UAS under 20 kg are exempt from most requirements with the caveats below. Above that weight, both the aircraft and pilot will need to be certified. No permissions or certifications are required if the UAS is (1) <20 kg, (2) not being used commercially, and (3) not being flown in a congested area. One cannot fly commercially without permission from Civil Aviation Safety Authority (CASA). Pilots are required to obtain an Operator’s Certificate – not as arduous as the US’s Private Pilot’s License for 333 Exemptions. United Arab Emirates: I include this because of UAS flying near the airport in Dubai grounded air traffic for almost an hour yesterday. I couldn’t find the actual regulations, but the official news agency says that one must have permission from the Dubai Civil Aviation Authority in order to use a UAS in Dubai. There are also strict privacy laws that forbid the taking of another’s picture without their permission. So do your research before taking aerial photos in Dubai, or anywhere else for that matter. Also note that in the European Union, a recent case from the Court of Justice of the European Union found that photographs constitute personal data. Under the EU Data Protection Directive, each country within the EU must pass laws protecting personal data. So even if one is operating a UAS in the GB or in France under the exemptions listed, taking photographs of people in public is still prohibited! The FAA enforcement action against Mr. Pirker for flying his UAS at University of Virginia is practically legend in UAS circles. Today he and the FAA settled the case for $1,100. It is well short of the $10,000 fine and Mr. Pirker is not admitting guilt. His company, Team Blacksheep, but out a press release today. The amended Order of Assessment is posted as well. In bizarre story, a man was sentenced to 15 years in jail for attempting to smuggle in goods to a South Carolina prison with a UAS. The sentence was 10 years for smuggling in contraband to a prison and 5 years for possession of marijuana. I don’t think anyone will argue this was an acceptable use of UAS. The Wurdack Research Center at the University of Missouri College of Agriculture, Food and Natural Resources (CAFNR) received a COA to perform agricultural research. They also have a Flickr Site with some good photos. On the military side, DARPA has issued a Special Notice regarding early-stage meetings for technological research into pack drones. Essentially, they want to develop systems so that multiple drones can work collaboratively through one operator – like a pack of wolves. I’m not sure what I think about this – it brings back thoughts of the Terminator and 1984, but it is a natural step forward in R&D. 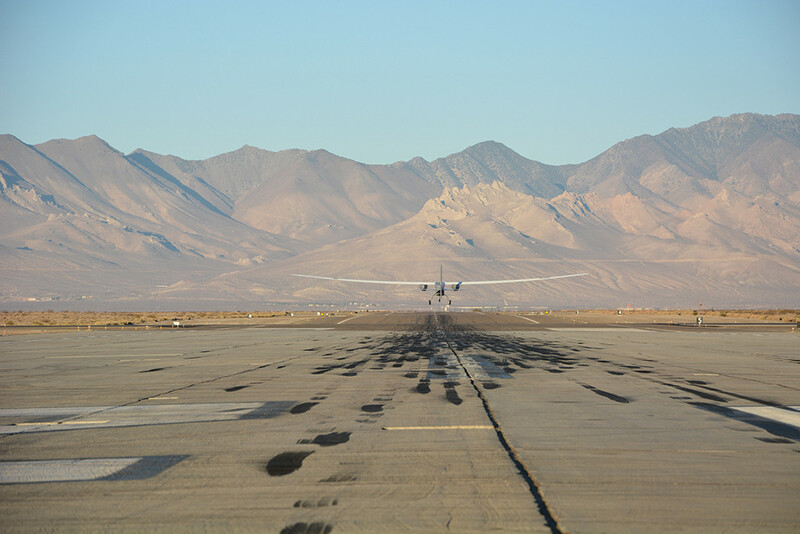 I’ll begin with something light and exciting before getting to Congress: Aurora reported that its UAS, the Orion, has broken the world record for longest flight by a UAS. It flew non-stop for 80 hours in December over a US Air Force site in California and shattered the Global Hawk’s 30.4 hour record. Not only does Aurora get bragging rights, but it has met the requirements of its contract with the US Government. 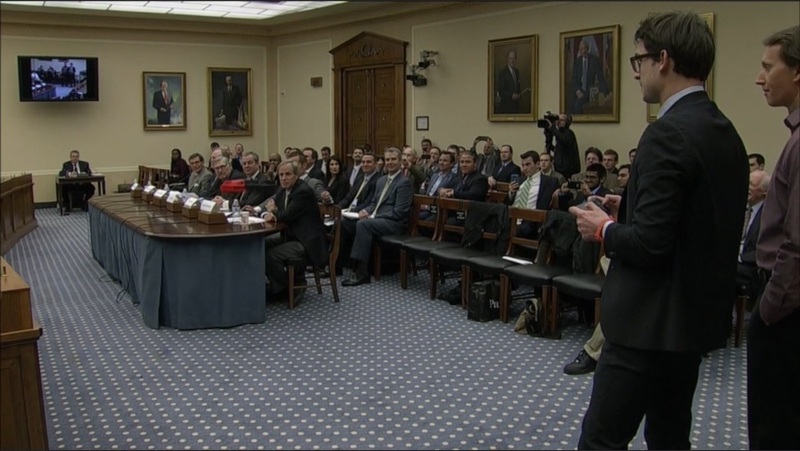 Yesterday, January 21, 2015, the U.S. House Committee on Science, Space, and Technology met to discuss UAS Research and Development. The purpose of the Committee was to look into R&D developments at the FAA and NASA. Don’t be surprised by NASA’s involvement; contrary to popular belief, but as the name implies, NASA has an Aeronautical function as well. 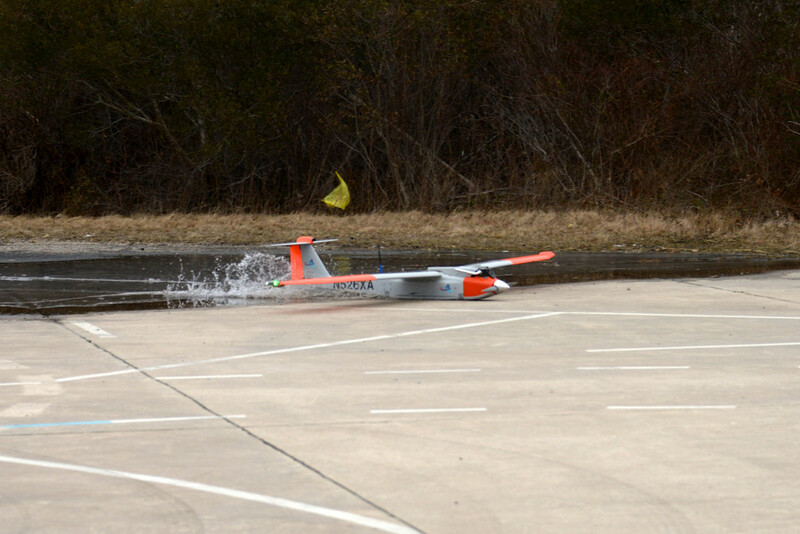 However, the FAA representative received most of the attention attention because of the FAA’s slow progress in developing rules for UAS, as discussed in previous posts. I won’t go into painstaking detail regarding the hearing, but will summarize some of the key points. The witnesses, prepared testimony, and saved video of the hearing, are all available at the link above. The headline grabbing news was that a Parrot Bebop was flown not once, but twice, in the hearing room. Apparently there are strict rules on this topic (by Congress, since it was indoors the FAA didn’t have a say), but it amazed a number of the Congressmen. A minor crash also served as a good training moment to show what it means to crash and what precautions users must take – which this user had. The FAA refused to answer the same question posed multiple times regarding their plan to use proposed rules for small UAS. The FAA refused to even give a target date, but only said they want to get out comprehensive and safe regulations. The industry believes that we are in a “chicken and egg” situation because one cannot address all safety issues until UAS start flying in the NAS and we learn from experience. They believe we should start with small UAS, which pose low risk to safety, and feed those lessons into improved regulations for small UAS and regulations for larger UAS. 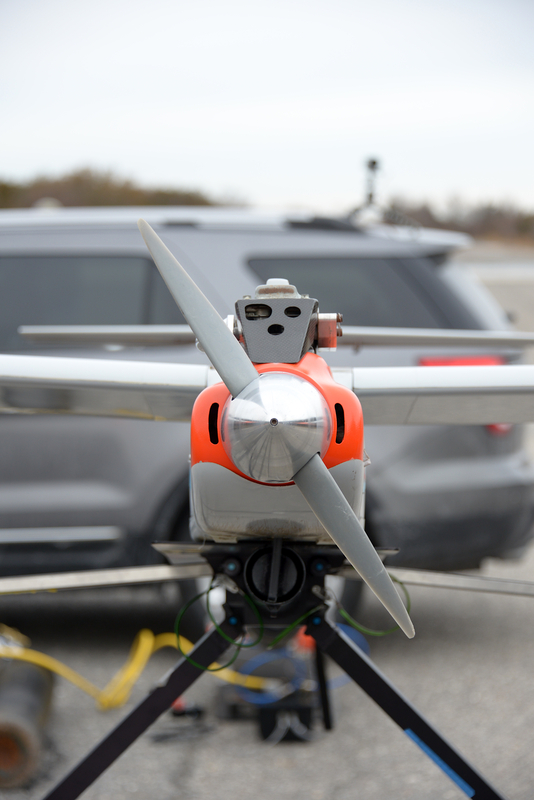 Some UAS are being equipped with a feature that allows the flight data to be uploaded to a central repository for R&D purposes in order to show that industry is serious about using flight data to develop better regs. Industry also pointed out that small UAS regulations (small in generally defined as a UAS with a mass less than 2 kg) have been successfully implemented in other countries. Design standards require airplanes to withstand a bird strike. A manned aircraft will almost certainly service a mid air collision with a small UAS under 2 kg. The test sites received a lot of attention. Industry witnesses were concerned because the sites are underutilized, expensive to use, and logistically and bureaucratically difficult to access. 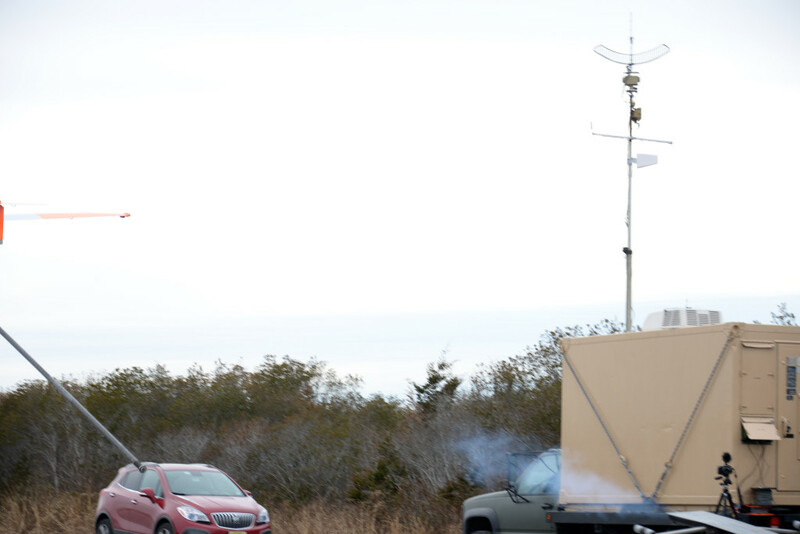 The FAA states that they cannot task the sites without funding the request, but has issued a list of items they would like to see come out of the test sites. This has clarified, but not solved the issue relating to obtaining useable research data from the sites. Industry also believes that the test site system poses serious barriers of entry to small business and does not account for real-life situations. The sponsoring states pay for the sites and get reimbursement through use fees, but since there are so few users, the cost to use them are high – again a chicken and egg situation. Industry has noted this is a large reason why R&D is moving to Canada and Mexico, where it is less expensive and more easily accessed. 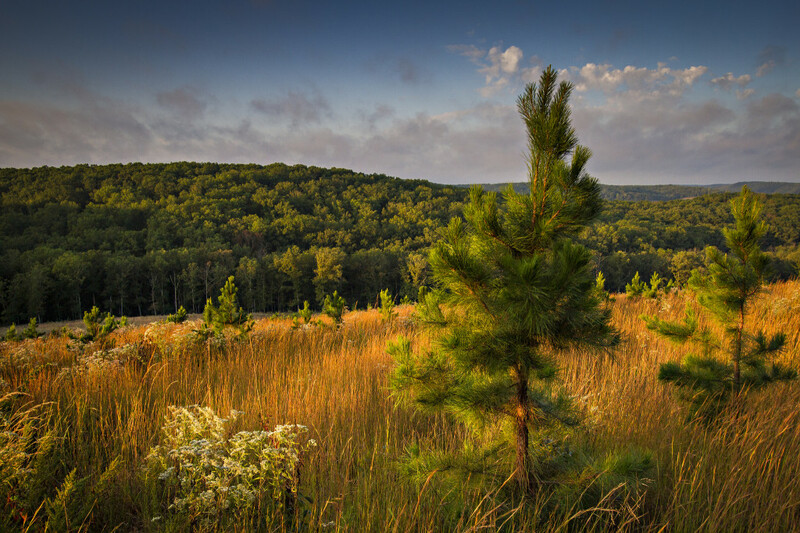 Industry would prefer to use company owned land for research, and the FAA reminded everyone that one can still apply for an Experimental Use Certificate. However, that can be a long and arduous process. They are trying to speed up the 333 Exemption process, but noted that it is still a regulatory process that must go through various stages (such as a comment period). The FAA has two employees working full-time to facilitate approval for public entities to fly UAS, and to date over 700 COAs have been issued to public entities. They clarified for the Committee that the 333 Exemption process is merely to certify the specific aircraft, since type certifications are not available. Parties must still request a COA from Air Traffic Control for the specific operations. This is important, since a lot of news reports imply that the 333 Exemption is the end of the runway, so to speak. Concepts of Operation (ConOps) is the name for the ways in which UAS will be integrated into the NAS with manned aircraft. 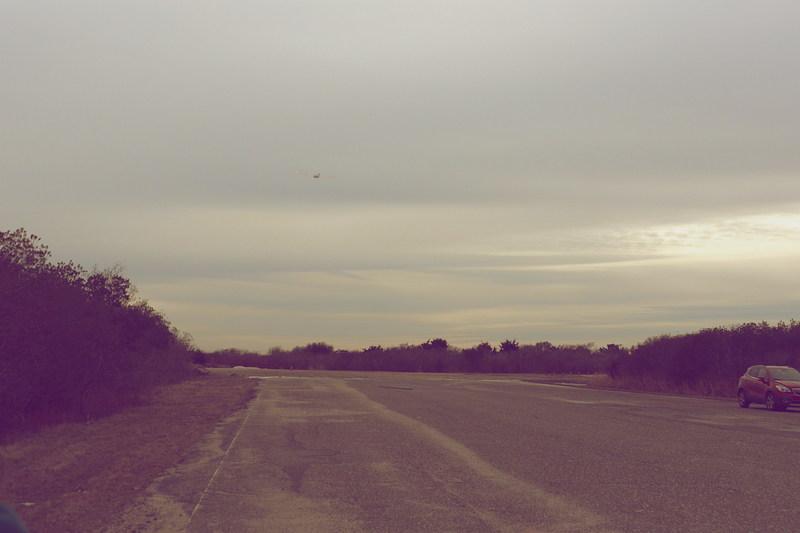 The FAA believes they are making good progress on this point, but industry does not agree. One estimate is that about 80% of UAS use will be for agricultural (rural) purposes. Incredibly, the FAA does not believe the US is lagging behind other countries in UAS development. They state that our airspace is the most complex in the world and must be studied more carefully to safely integrate UAS into the NAS. As you might expect, industry did not agree. I’ll start and finish on a light note. The user is on the far right is holding his cell phone to operate the red Bebop ($499), which is in front of the closest witness.